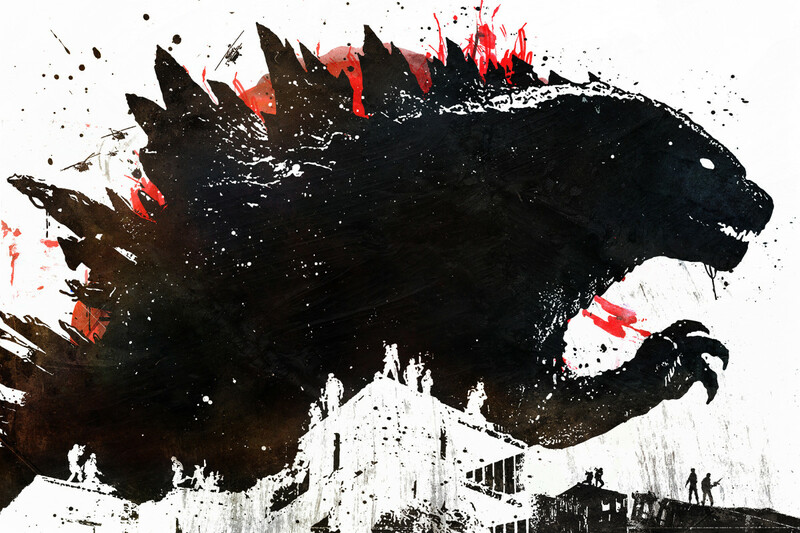 Gregory Honay is a writer and Star Wars geek from New York City. He vehemently denies the accusation that he named his dogs Han and Chewie. Darth Plagueis The Wise, the former Sith Master of Emperor Papatine, has become one of the most notorious characters in Star Wars, developing a cult following from little more than an offhand mention by his former apprentice. He never appeared on screen, but was nonetheless an incredibly important character due to the fact that he was directly responsible for nearly every important event to take place during the Star Wars saga. Darth Plagueis was born Hego Damask II, somewhere between 100 and 200 years before the events of Episode IV. His parents were Force-sensitive Muuns who had met through a mutual friend named Rugess Nome. What the Damask family didn't know was that Nome was secretly the Sith Lord Darth Tenebrous, and that he orchestrated their romance specifically in the hopes that they would bear a powerful child he could claim as an apprentice. That's exactly what happened, and Hego discovered his power early on in life when he used what we commonly know as the Jedi mind trick to force another Muun child to jump out of a window to his death. The power and willingness to use his power in such a way was exactly what Tenebrous wanted, and he knew then that Plagueis would become exactly what he was intended to be. Darth Tenebrous, master of Darth Plagueis. Using an opportunity for career advancement within the InterGalactic Banking Clan as bait (Damask's father would soon become the Chairman of the IBC), Hego's parents handed him over to Nome and never looked back. The young Damask was publicly known as Rugess Nome's accountant, but in secret, had pledged himself to Tenebrous as his Sith apprentice. As his training progressed, he was granted the Sith title of Darth Plagueis. As Plagueis continued his training and grew in power, he was blissfully unaware that his master's true goal in cultivating him was not so Plagueis would succeed him in accordance with the Rule of Two, but because he wanted a highly Force-sensitive body to possess once his had run out of steam. 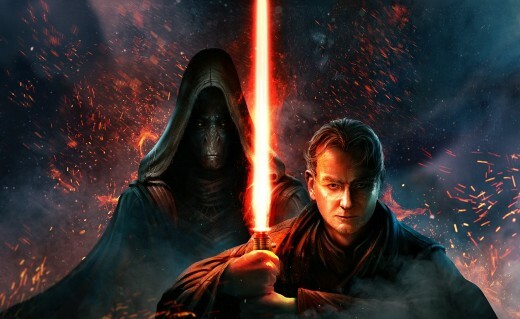 Tenebrous had read the Force and felt that the Chosen One's birth was imminent, and while his goal would be to possess him when he did, his own body may not have survived until that time. 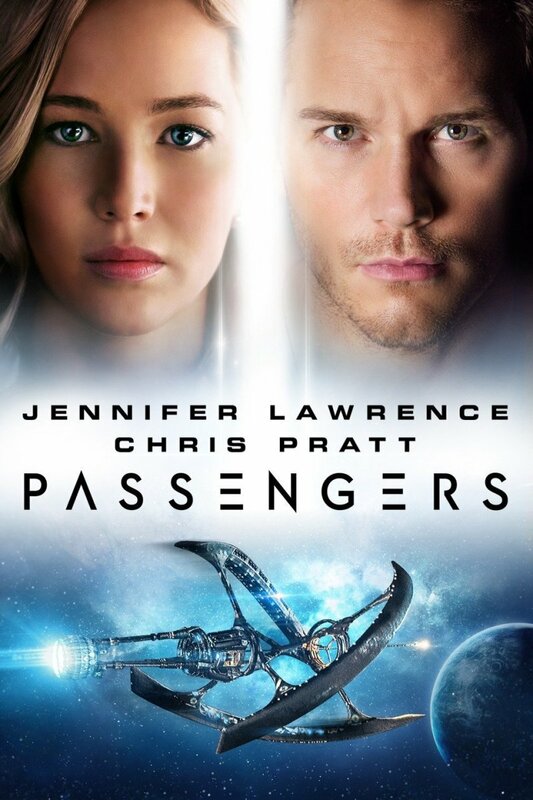 In the meantime, Plagueis was meant as nothing more than a vessel to occupy until the Chosen One revealed himself. The reality was that Plagueis disgusted Tenebrous, who actually taught Plagueis very little about the Dark Side and the Force. 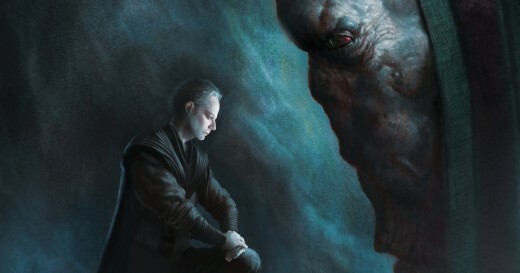 Plagueis was more or less self-taught, and despite the low opinion Tenebrous had of him, Plagueis had actually become far more powerful than his master ever realized. 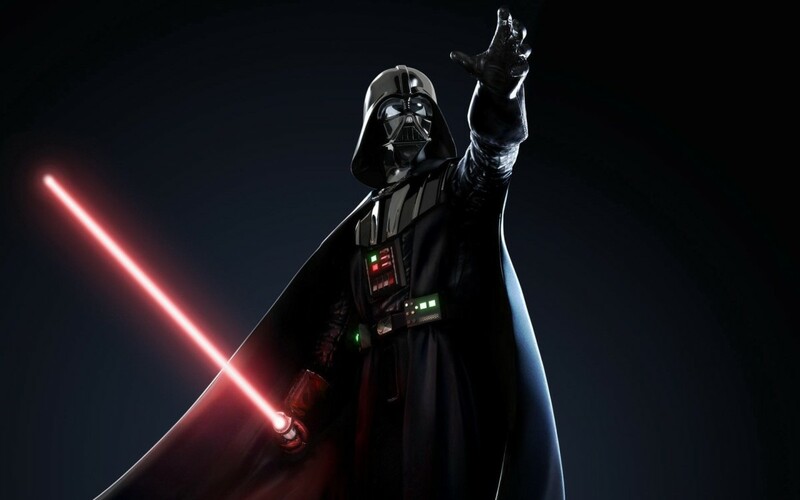 He had also grown the same ruthless streak every Sith Lord was meant to, and he used it to seize his opportunity when he and Tenebrous were trying to escape from a cave that was collapsing. Rather than aid his master, he used the Force to bring the ceiling down on top of his master, then finished him off by breaking his neck with his own bare hands. 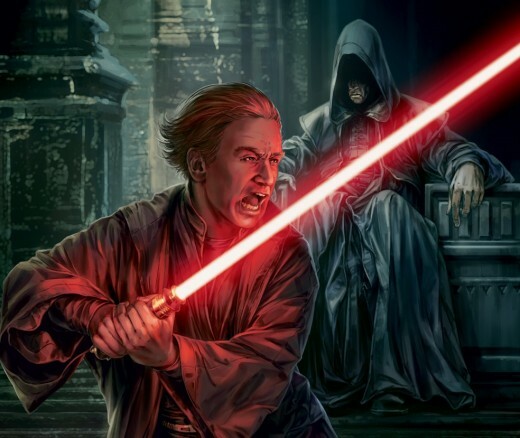 Darth Plagueis was now the Dark Lord of the Sith, but was unaware that Tenebrous had secretly trained a second apprentice in violation of the Rule of Two. 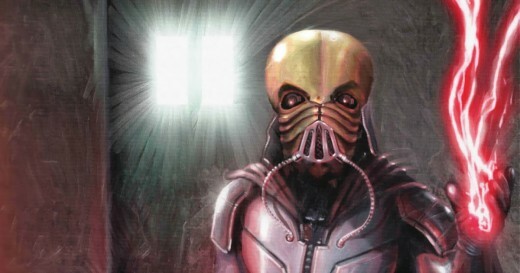 Darth Venamis, whom Tenebrous considered his true apprentice, had received the full Sith training that Plagueis hadn't. Once he discovered his master's death, he attempted to carry out his instructions to find and kill Plagueis and assume control of the Sith Order. Tenebrous didn't want Plagueis in charge, to the point where he taught Venamis everything he needed to know to specifically kill Plagueis, right down to countering Plagueis' lightsaber fighting style. Venamis had spent years preparing for the confrontation, but nonetheless found himself in over his head when they finally came face-to-face. 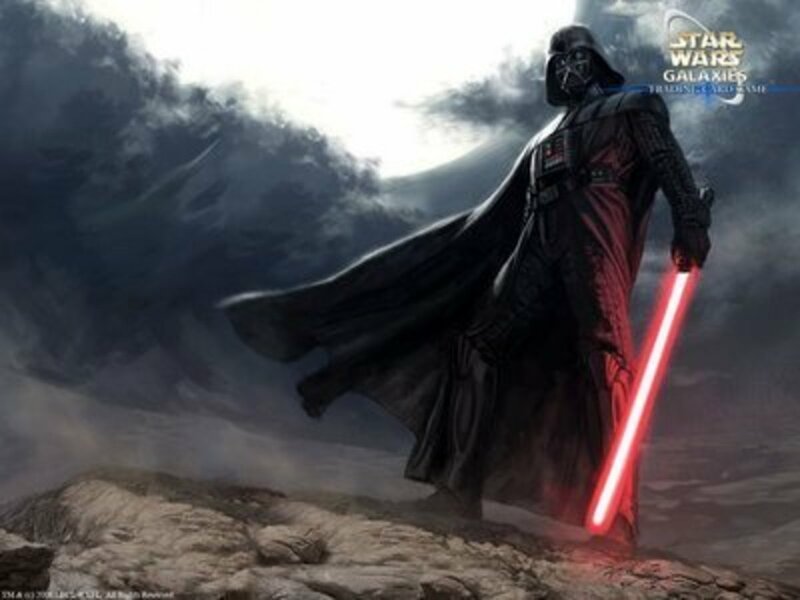 Despite all his training and preparation, Plagueis easily defeated Venamis and legitimized his title as Dark Lord of the Sith. Just to prove his dominance, he defeated Venamis and then forced him to drink a lethal poison before putting his body into storage in a secret location. We'll get to the reasons why he did that in just a moment, but first, let's see what happened when he discovered a powerful young apprentice of his own, who would one day change everything. Darth Plagueis training Palpatine as his Sith apprentice. Around 35 years prior to the events of the Phantom Menace, Darth Plagueis (who had inherited Damask Holdings, the family business, by this point) was on a business trip to Naboo when he met a young man by the name of Sheev Palpatine. Sheev's father happened to be a business rival of Damask Holdings, but the relationship between father and son was very strained. In fact, they were on such bad terms that Palpatine had started leaking inside information about his father's business to Plagueis and others doing business on Naboo. Plagueis and Palpatine hit it off right away, as Plagueis not only sensed a great opportunity to cause major damage to one of his competitors, but Sheev's strength with the Force and potential to be a powerful Sith. Palpatine's father didn't want them interacting, and warned Plagueis to stay away from his son, but the friendship continued in secret. Finally, sensing Palpatine's thirst for power, Plagueis offered to give him everything he wanted if Palpatine was willing to give up all his connections and obligations, including his own family. He didn't need to ask Palpatine twice: the future Emperor murdered his entire family within days, and true to his word, Plagueis helped Palpatine cover up the crime. Plagueis was very impressed with his young, new friend: he possessed ambition, intelligence, and ruthlessness, and didn't have an ounce of empathy in his body. With qualifications like that, Plagueis was certain that he had found the perfect apprentice. Palpatine accepted his offer to join the Sith Order, and was given the title Darth Sidious upon pledging loyalty to his new master. With his new apprentice by his side, Plagueis was able to continue working towards the completion of the Grand Plan that every Sith for a thousand years had been tasked with. The Sith had been nearly wiped out by the Jedi centuries earlier, leading to the creation of the Rule of Two and the beginnings of their clandestine efforts to undermine the Jedi. 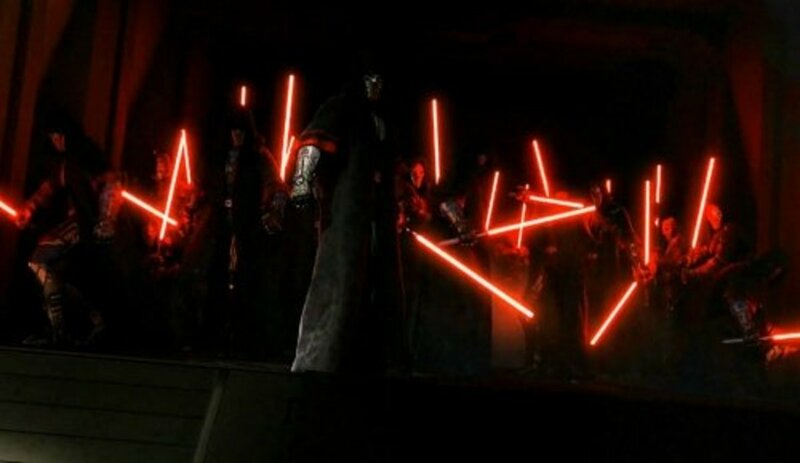 The Sith were always vastly outnumbered, and would never have defeated the Jedi in a straight fight, but the Grand Plan was a different approach where the Sith would work in the shadows and build their strength and influence until they could reclaim control of the galaxy. Plagueis had made great strides toward those achievements, as he was not only fabulously wealthy thanks to the family business, but also had a great deal of influence with politicians whose funding often flowed through Damask Holdings. Once Palpatine became his apprentice, the goal was to put him on track to one day become Supreme Chancellor of the Galactic Republic, and to that end, the two of them set about causing turmoil and conflict that would destabilize the galaxy. Anything they did had to satisfy one or both of their main goals: advancing Palpatine's political career, and getting their enemies out of the way. During the course of their manipulations, the Sith caused other, unexpected but welcome side effects. One was the creation of the Trade Federation's droid army, which later became the backbone of the Separatist army, but was initially a response to a violent incident the Sith were behind. Another Sith-related incident caused the deaths of two of Dooku's apprentices, which started him down the path that eventually led him to leave the Jedi and become a Sith himself. Most importantly, however, was the key role Plagueis played in the clone army's creation on Kamino. Plagueis was a personal acquaintance of Jedi Master Syfo-Dyas, who had no idea who Plagueis really was, but was nonetheless concerned that the Republic was headed toward a major civil war. Nobody in the Jedi or the Republic took his fears seriously, so Plagueis suggested he talk to the Kaminoans about building an army for the Republic in secret, and even was willing to personally finance it. Not wanting the Republic to be destroyed, Sifo-Dyas agreed with the plan and ordered the army without the approval, or even knowledge, of the Jedi. Plagueis and Palpatine manipulated the Force out of balance, causing some important, but unexpected, side effects. While the Sith were masters at manipulating events from the shadows, Plagueis wasn't always able to stay off the radar of those who would see him disposed of. One assassination attempt left him so badly injured that he was forced to rely on an artificial breathing device, reminiscent of the one Darth Vader would need years later. The attempt on his life left Plagueis so unsettled that he spent most of his final years in seclusion, leaving the political machinations in Palpatine's hands. Instead, Plagueis devoted most of his time and resources to his experiments in manipulating the Force. While the Jedi, and even past Sith, had approached the Force as a mystical power, Plagueis was far more practical, and wanted to distill it down to the science behind the magic. He felt that, by learning the rules governing how the Force worked, the Sith would have a huge advantage the Jedi didn't. 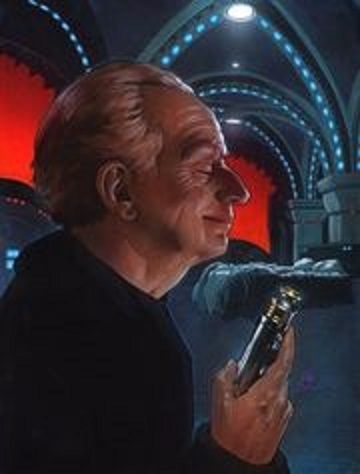 His main goal in these experiments, as Palpatine later recalled, was learning how the Force could be used to create and preserve life. It was the same goal his own master had, though he wanted to actually preserve the body's lifespan rather than transfer his consciousness into another vessel as Tenebrous did. Most of these experiments were conducted on his old pal Darth Venamis, whose body he had kept in storage since their battle, and saw Plagueis continually bringing Venamis back to life only to kill him again in an endless cycle of torture. Venamis' body was eventually destroyed badly enough that even Plagueis couldn't bring him back, but the exercise yielded plenty of useful information for the Sith Lord. Plagueis also spent much of his time trying to figure out how to intentionally bend the Force in favor of the Dark Side, while limiting the power of the Light Side and, by proxy, the abilities of the Jedi. Plagueis and Palpatine were pushed to their limits by days' worth of intense, Force-warping meditation, but not only did their efforts bear fruit, but the change was so radical that the entire Force was cast under a Dark Side shroud for years afterward. Plagueis was elated, because his experiments worked, and now would mask his machinations for years to come. The shroud was so pervasive that the Jedi couldn't even sense who Palpatine really was when he stood right in front of their most Force-sensitive masters like Yoda and Mace Windu. However, the celebration was short-lived, because Plagueis had another major scare thrown into him when he learned of an unexpected by-product of his work: the birth of the Chosen One. Plagueis feared that his experiments caused the Force to create Anakin Skywalker in retaliation. 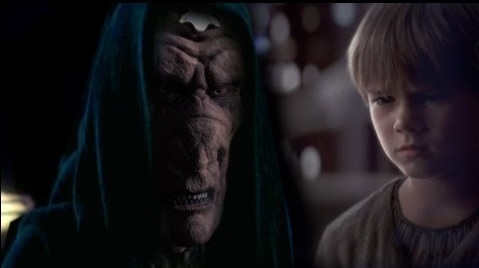 Plagueis was not happy when he learned that the Jedi discovered a boy who had, by all appearances, been conceived by the Force. Because Anakin's conception lined up perfectly with the time he had created the Dark Side shroud over the Force, Plagueis could only conclude that the Force had created Anakin as a specific response to his machinations. This terrified Plagueis enough that he left his inner sanctum for the first time in decades to travel to Coruscant and see the boy who for himself. Plagueis only saw Anakin briefly, but it was long enough for him to reach out with the Force and attempt to see the boy's future, and what he saw confused and horrified him. As soon as he made the link with Anakin, he was overwhelmed with visions of a powerful cyborg in black armor rising from a table and reigning terror over the galaxy. Fearing that Anakin could destroy everything the Sith had worked for, Plagueis ordered Palpatine to make sure Anakin wouldn't have the chance to train with the Jedi. Unfortunately for Plagueis, his apprentice had other ideas. Palpatine immediately after killing his master, Darth Plagueis. 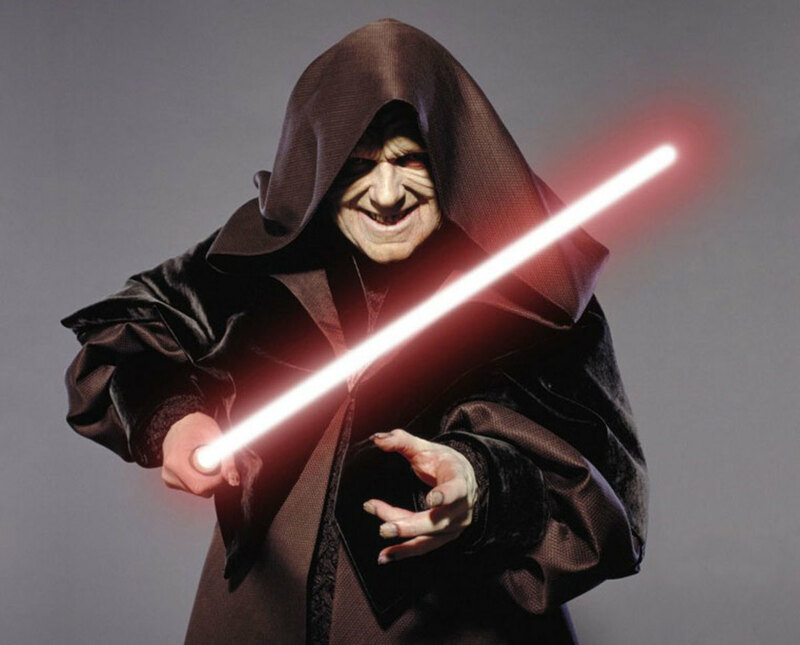 While his master shut himself off in his laboratory, Palpatine had spent his time pulling more strings and creating more conflicts he was able to leverage to pull himself closer and closer to his goal of becoming Supreme Chancellor. He caused enough turmoil to undermine the galaxy's confidence in then-Chancellor Vallorum, opening the door for him to talk Queen Amidala into calling for the vote of no confidence that spelled the end of his political career. Palpatine would be elected to the post the following morning, but unbeknownst to Plagueis, he had no intention of serving as his master's puppet any longer. Plagueis had planned for Palpatine to name him co-Chancellor after being elected, effectively making Plagueis the true ruler of the galaxy, and he literally started celebrating too soon on the eve of Palpatine's election. Palpatine waited for Plagueis to get drunk and pass out, then blasted him with one torrent after another of Sith lightning. Plagueis was completely helpless as his apprentice slowly tortured him to death, savoring each moment from one blast to the next. After what seemed like an eternity, Palpatine finally finished Plagueis off and usurped his place as the Dark Lord of the Sith. He was elected Chancellor the next day, and went on to complete the Grand Plan by exterminating the Jedi and ruling the galaxy for the better part of 25 years. But Is He Really Dead? 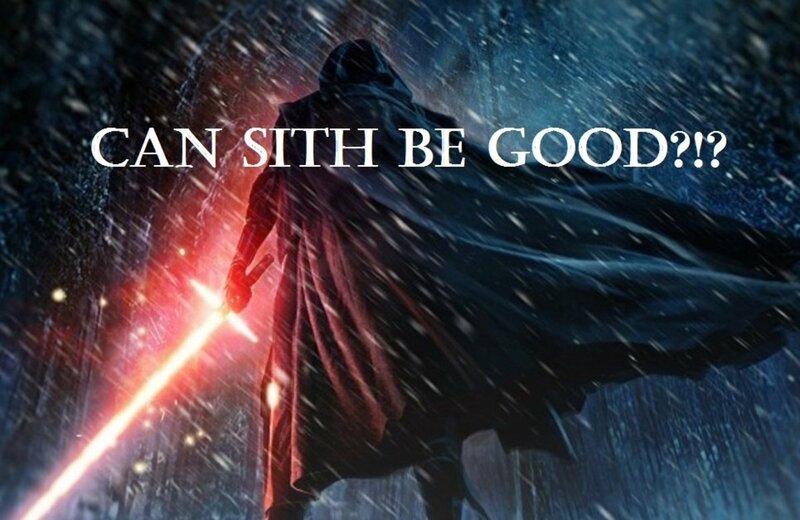 Much like Elvis, there are those who believe that Darth Plagueis isn't quite as dead as he's supposed to be. Though the official word is that Darth Plagueis has been dead for close to 70 years by the time the sequel trilogy began, questions remain about whether he somehow survived Palpatine's assassination. Specifically, the most popular fan theory regarding Supreme Leader Snoke's true identity is that he is really Darth Plagueis, re-emerging to claim his rightful place now that his treacherous apprentice is out of the way. Plagueis had only previously been presented as part of Palpatine's character background, but that could completely change if it turns out the Emperor was wrong about his master's fate. After all, we're talking about Darth Plagueis the Wise, who learned how to cheat death through the power of the Force. Is it out of the realm of possibility that he foresaw the possibility of his death, and had prepared for just such an occasion? We won't know for sure until Episode VIII: The Last Jedi hits theaters on December 15th, but whether or not the idea holds water, the mark Darth Plagueis has already left on the galaxy is undeniable. In fact, given how instrumental he was in Palpatine's conquest of the galaxy, Anakin Skywalker's birth, the weakening and fall of the Republic, and the creation of the Empire, Darth Plagueis could be the single most important person in the entire history of Star Wars. What was the most important accomplishment of Darth Plagueis? His experiments with the Force. His role in creating the Clone army. The Plagueis book is amazing. Also definitely check out the Darth Bane book trilogy!